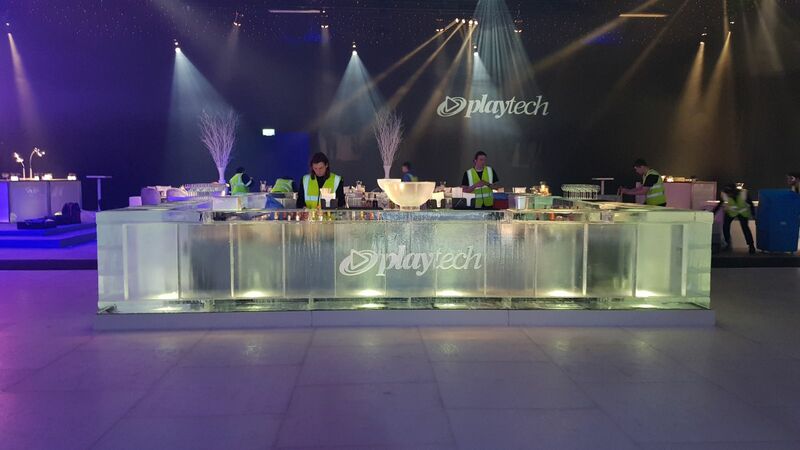 Icebox was commissioned by Michael Weisman Productions to transform Battersea Evolution into a spectacular and elegant icy world for the market-leading gambling and financial trading company, Play Tech’s annual ICE gaming after party. 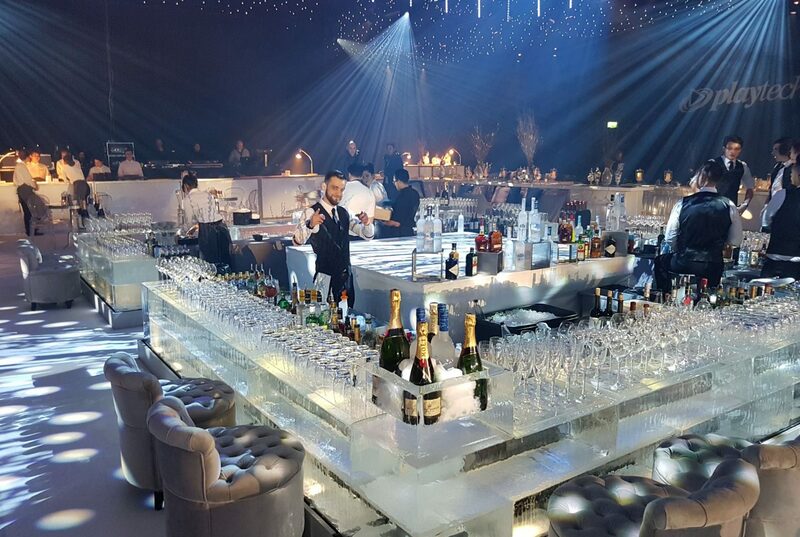 Edging the dance floor were two 6m square Ice Bars with carved champagne baths in each corner. 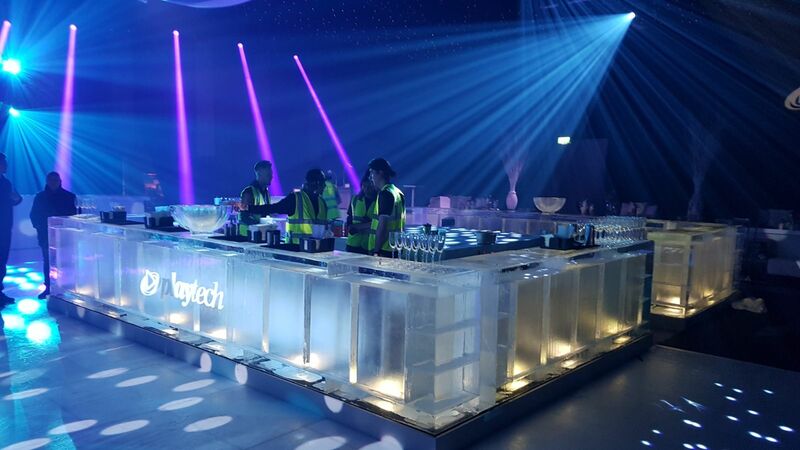 An additional VIP ice bar was also a central feature to the event where guests were invited to enjoy some cocktail creations from our perfectly frozen ice shot glasses. 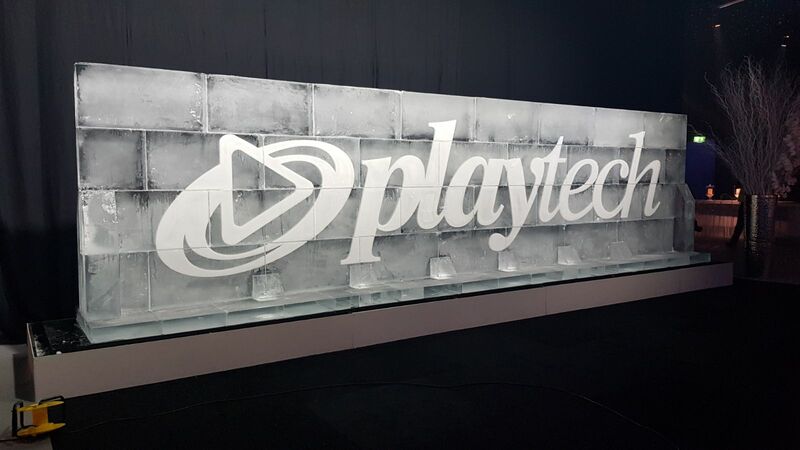 To celebrate the brand, Icebox carved an 8m ice wall with the logo engraved in white snowfill – this created a brilliant photo background for the 2,000 guests who attended the event. It was a fantastic event to be involved in and wonderful to see the magnitude of what can be achieved through the power of ice.